ACTION opened its new office and training studio in Quezon City on April 21, 2016. In cooperation with REJOB, one of the largest internet-based job placement company in the area of beauty and relaxation in Japan, ACTION is extending the implementation of its Hasami (scissor) no Chikara and Iyashi (therapy) no Chikara projects under its Chikara (power) program. The projects of ACTION in the National Capital Region (NCR) will focus on assisting low income individuals in select communities, by providing opportunities for skills development through haircut and massage therapy training. The trainings will be offered initially to select beneficiaries of Pantawid Pamilya program, and later on, to children and youth in residential care facilities. To achieve it project goals, ACTION will work with several concerned agencies and stakeholders in NCR. Japanese company REJOB covered all expenses for putting-up the new office and the expansion of ACTION’s program. ACTION hosted an opening ceremony on April 21, 2016 to orient its partners, guests, and stakeholders about ACTION’s history, its programs and services, especially the Chikara program. It also served as a venue to solidify existing partnership and cooperation between ACTION and its partner organizations. Several representatives from partner agencies including Ms. Miho Ueda of REJOB, Ms. April Co of DSWD NCR, Ms. Cynthia Oria of Quezon City (QC) Social Welfare and Development Office, Atty. Jun Cordova of Brgy. Bahay Toro, Q.C., and Mr. Jude Hipolito of JURO Salon had the opportunity to express their commitment to support ACTION’s programs. 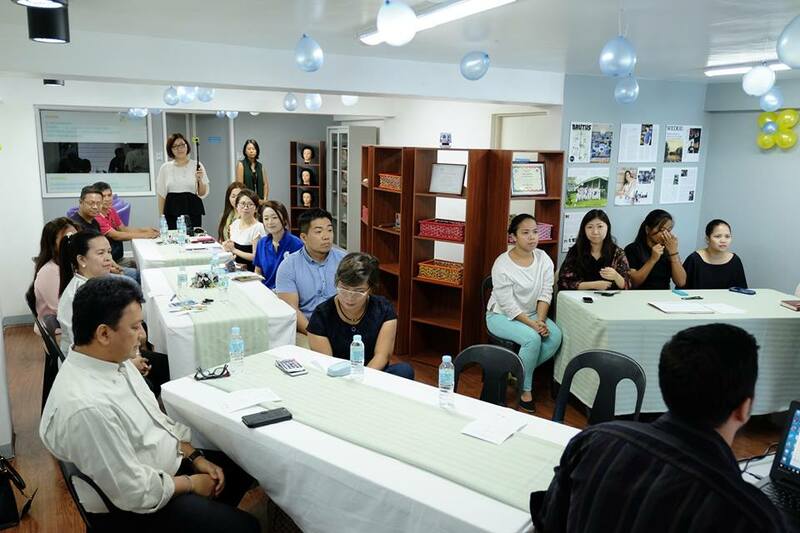 Other partners in attendance include Ms. Rieko Hara of Japan International Cooperation Agency, Philippines Office, Ms. Rose Velasco of JURO Salon, Ms. Chikako Kanaiwa and Ms. Miki Ikeda of REJOB, Mr. Tomomi Nishikawa of Idea Point and Ms. Erika Legua and Mr. Hermie Diaz of Brgy. Katipunan Q.C. The ceremony was concluded with a humble feast prepared by ACTION.